Far too often people assume that digital equals low costs, even for textbooks. Then we get reports and surveys looking at digital textbooks as a method to “save money”, where it is almost assumed that digital textbooks do save money; it’s just a question of whether faculty take this fact into consideration. Students are choosing to rent textbooks in print rather than e-textbooks because the former are far cheaper. Rosensweig exemplifies this with Chegg’s most popular textbook, Campbell’s Biology. The price to rent this book in print is $20, compared to $107 for the e-book version. Who would purchase an e-book when he or she could rent the paper version for one-fifth the price? Taking a look at Chegg’s site we see this example. Note Pricing at the end of February is likely lower than at the beginning of a semester. __Read the The Internet Policy Task Force’s White Paper on Remixes, First Sale, and Statutory Damages published on January 28, 2016. The White Paper _ http://www.uspto.gov/sites/default/files/documents/copyrightwhitepaper.pdf _ offers one a useful understanding of the many issues and considerations related to the First Sale Doctrine. Suggested reading Conclusions and Recommendations, section 5. The Risks of Extending the First Sale Doctrine to Digital Transmissions on page 65. With governments across the globe racing to make revisions to copyright laws to keep up with changes brought on by new technology, the Association of American Publishers engaged in a host of activities in 2015 aimed at protecting intellectual property in the U.S. Tom Allen, president and CEO of the organization, said defending copyright is one of several issues all members of the AAP are invested in, even though the interests of trade and educational publishers diverge in other areas. Allen pointed out that some educational publishers prefer to be seen as digital learning companies, since many are working on developing interactive educational platforms. “It is a very different model than trade publishing,” Allen observed. University and college instructors will soon have the option to create a customized, open educational resources (OER) textbook and offer low-cost printed copies of the book to their students through their campus bookstore, thanks to a new partnership between Rice University-based publisher OpenStax and wholesale textbook distributor NACSCORP, a subsidiary of the National Association of College Stores. I had a major realization this morning. But first, some background. As you know, I’m making the case that we need to start using websites not just to *talk* but to *think*. This somewhat overstates my case, of course — to talk is to think, and I wouldn’t claim differently. But talking via websites is just one way of thinking, and ignores many complementary options. Wikity explores another way of thinking with the web. In Wikity you maintain maintain a series of “cards” in your own personal “library”. I wish I could make it as fun to watch on screen as it is to do. It takes a bit of practice, but when you engage in this activity it feels hard but good, like you’re pushing your mind to its natural limits. 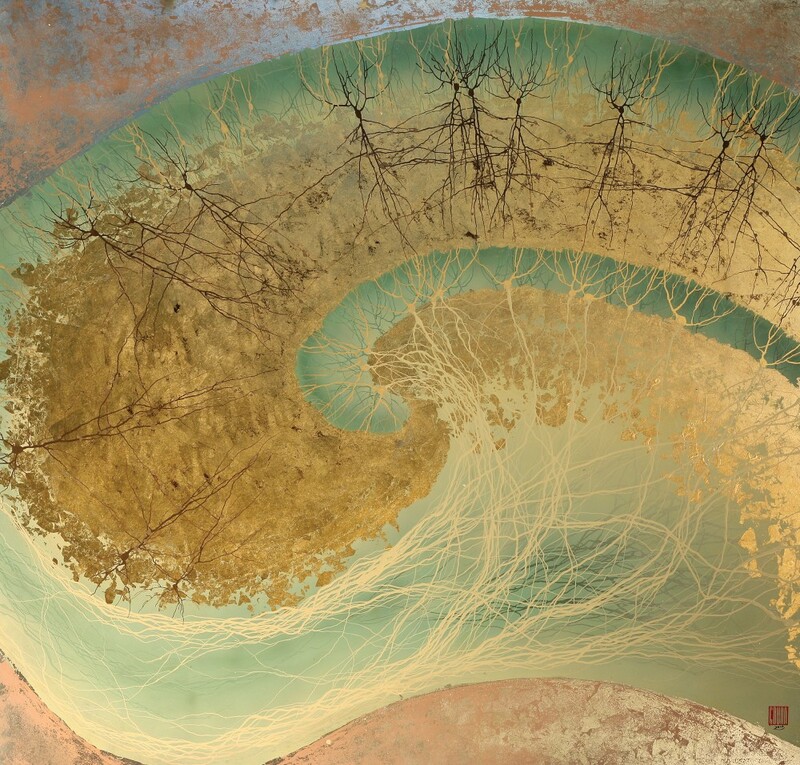 You feel like you are shaking a bunch of crud from your neural connections, engaging in a sort of thought that is fundamentally different than the see-thing-react-to-thing that Twitter, Facebook, and Tumblr have trained us to do. 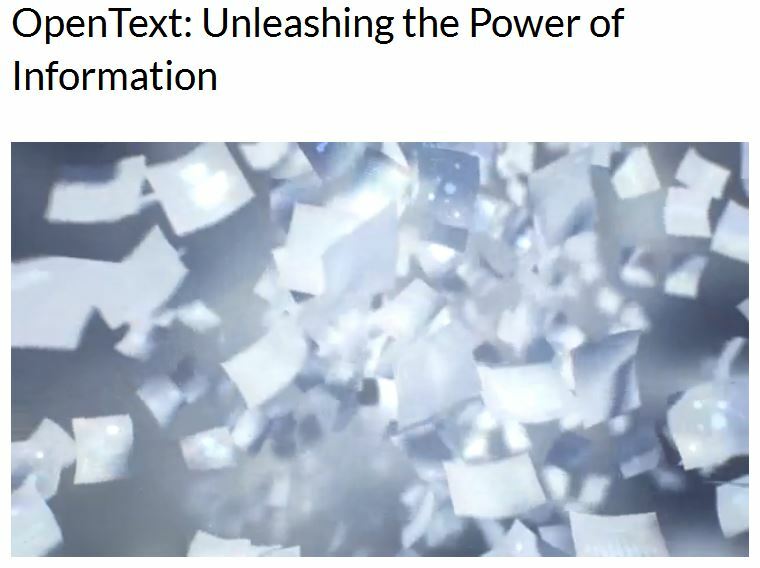 I’ve long felt if I could get people to feel that feeling, this idea of the personal, read-write federated hypertext library would sell itself, whether that was in the form of Wikity or Ward Cunningham’s Federated Wiki. Today I realized one thing we’re doing wrong in Wikity. We’re starting people up in a new library with no books in it. You have to start writing cards yourself, or find others who have written cards and copy them. There’s an almost impossible level of bootstrapping there. You write your first summary of an article and there’s nothing to connect it with. That doesn’t feel so great. That feels like glorified social bookmarking, in fact. __The State funding eligibility criteria will likely now be based on well established educational resources standards of quality – And the new Learning Registry supports educator voices to help define which resources are most relevant or useful. – an open database where content creators and educators can share information about digital educational resources using common language for tagging resources according to quality, keyword, and alignment to curricular standards. 71% of students said they would be happy for data to be used by their university, if it could help to improve their grades. Most students are prepared to share data on their academic activities with universities’ learning analytics programmes, according to a survey. Seventy-one per cent of students questioned by Jisc, the sector technology body, said they would be happy for data such as their library or virtual learning environment usage to be used by their university, if it could help to improve their grades. Twelve per cent said they would not. Fifty-three per cent of the 240 students questioned said that they would be happy for the data to be used if it stopped them dropping out, with 23 per cent saying that they would not. A consensus is emerging that blended learning, a term that embraces various combinations of classroom presence and online study, will become the most common approach to teaching and learning in higher education. Does this consensus simply aim to safeguard the tradition of face-to-face teaching against an invasion of fully online learning – or can blended learning raise higher education to new levels of effectiveness and quality? Follett announced today it will join the U.S. Department of Education’s #GoOpen campaign committed to supporting districts and educators as they transition to the use of high-quality, openly-licensed educational resources (OERs) in their schools. __Queen’s University continues to gain momentum in online learning, thanks to a $1.5-million funding boost through the Government of Ontario’s shared online course funding program, formerly known as the Ontario Online Initiative. The funding will allow the university to develop or redesign 28 online courses. For the third straight year, Queen’s leads the province’s universities for the amount of funding awarded through the program, receiving 32 per cent of the total allocated. Pearson has created a global marketing unit, as the company attempts to build a more trusted brand amid some significant reputation challenges. The move is the latest step in chief corporate officer Kate James’ plan to improve global brand cohesion, after overhauling Pearson’s communications function last year.Former Amazon and Microsoft marketer Karen Starns takes on top marketing job as educational publisher aims to build more cohesive global brand. Starns joined Pearson one year ago as SVP of brand, digital, insights and social impact. Educators are among the world’s greatest optimists. Rightly so, we believe in every child’s capacity to learn. We believe that with enough patience, skill, and determination, every student can develop the best that is in them, regardless of the roadblocks encountered. Our optimism is one of our greatest strengths. It is what drives us to work long hours, take short breaks, and continue to press on until our job of supporting the success of each learner, despite the obstacles thrown our way, is accomplished. As a result, educators are eager to embrace resources and tools to better support their students’ academic growth. An example of educators’ optimism can be seen in our response to Open Educational Resources or OER. Initially, OER appears to hold promise in supporting teaching and learning, as advances in educational technology have empowered educators to complement their lessons with rights-free content. As a supplemental resource, I absolutely see the value of building space into curricula for OER. My optimism begins to fade, however, when we begin to talk about OER as a core instructional resource. Adaptive learning technology is getting smarter and paying off in better student outcomes. Download this white paper to better understand how adaptive learning tools offer significant benefits for students and institutions. less time, with better knowledge retention and transfer rates. David Wiley asks – Who Pays for Supplemental Materials? 1. A faculty member reviews a collection of OER (perhaps an open textbook) and feels like the collection would be an acceptable substitute for the commercial textbook they currently require students to purchase. 2. The faculty member then begins to look for open supplemental materials like test banks and powerpoint presentations that commercial publishers provide for free to faculty whose students use their books. 3. While the faculty member found the OER acceptable in terms of a textbook replacement for students, they were unable to find an open substitute for the supplemental materials. 4. The faculty member chooses to continue to assign commercial materials to students. What just happened? The faculty member decided to require students to pay the cost of the faculty member’s supplemental teaching materials. GAO-05-806: Published: Jul 29, 2005. Publicly Released: Aug 16, 2005. Finance Minister Charles Sousa talks today’s budget with Steve Paikin. Then, the province’s finance critics weigh in. And The Agenda’s Next Ontario panel gives their view on Ontario’s books. Pearson, the world’s learning company, is announcing its preliminary full year results for 2015 which builds on its 21 January trading statement. Most college students whose family income is less than $50,000 a year will receive grants large enough to cover their whole tuition. Grants for university students, who pay higher tuition, may not offset the entire amount. “Is blockchain really a thing?” That’s probably the most common question I hear about a technology that, up until quite recently, was mostly and closely associated with the cryptocurrency Bitcoin. “Do I need to pay attention to blockchain?” many folks working in ed-tech are asking. “Do I really need to understand it?” Or, like other over-hyped and over-promised technologies, will it always be “on the horizon”? Or will it simply fade away? This is the Tragedy of the Stream, folks. The conversations [Blog Posts] of yesterday, which contain so much useful information, are locked into those conversations, frozen in time. To extract the useful information from them becomes an unrewarding and at times impossible endeavor. Few people, if any, stop to refactor, rearrange the resources, gloss or introduce them to outsiders. We don’t go back to old pieces to add links on them to the things we have learned since, or rewrite them for clarity or timelessness. Interbrand Australia’s work with the Sydney Opera House (SOH) started back in 2014, when the institution needed help in attracting an audience. The opera house found people were visiting, but few were actually going inside. After being set the brief to change the perception of the SOH, the Australian agency aimed to created a visual language that lived up to the iconic building. Interbrand Australia wanted to inspire conversation around culture and art and help the audience to understand that the building is more than just opera. This brand idea was then translated into a “sculptural form language” to give this shift an identity that could be applied to marketing materials. Let’s have a more student-focused discussion of what textbook costs mean — and who benefits from various attempts to lower the cost of course materials. As we do so, I think we’ll find that student-success metrics related to whether students can get timely access to required course materials will be more meaningful than focusing on the price listed at the bookstore. With help from a number of sources, this guide was intended to help instructors plan, design, develop, and teach technology-enhanced courses and programs. 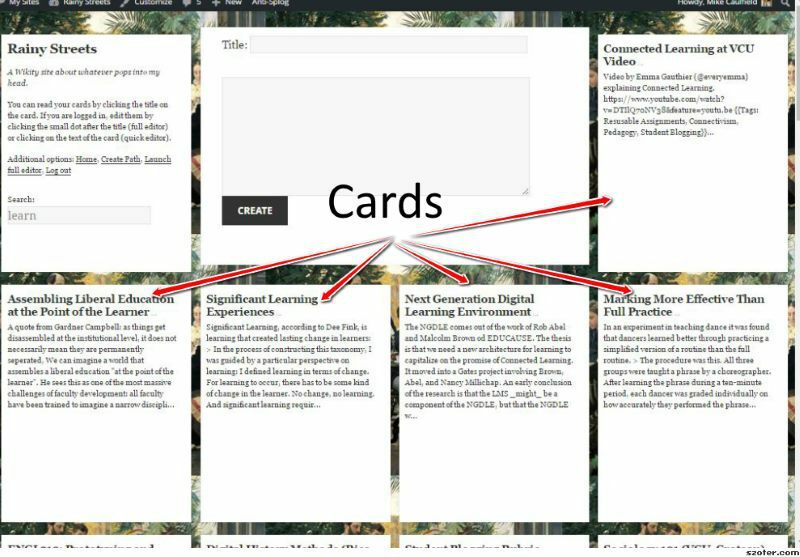 Included are guides that illustrate pedagogical design issues; tips on planning, developing, and writing course content; as well as planning and facilitating online interaction. Also included a description of various technologies to assist you in the process. Much of this information is already available in this area of the Brock University web site. Educational Consultant. Community Builder. Technology Champion. In the aftermath of the Supreme Court of Canada’s 2012 copyright pentalogy that strongly affirmed the importance of user’s rights and the need for a broad, liberal interpretation for fair dealing, Access Copyright insisted that the decisions did not mean what they said. While educational groups developed reasonable fair dealing guidelines based on the decisions (along with earlier decisions such as the CCH case and the inclusion of education within the fair dealing purposes in 2012 reforms), Access Copyright argued that the copying required its licence and that fair dealing guidelines based on general percentages could not be used. __The fair-dealing provisions of the Copyright Act enable free copying and use of up to 10% of a creative work [as defined]. The Copyright Board decision results in 50% reduction of royalty / copy fees to $2.41 per Student per year. _ ‘Fair Dealing’ to authors-artists in our creative sector? The Open Educational Resources (OER) Degree Initiative seeks to boost college access and completion, particularly for underserved students, by engaging faculty in the redesign of courses and degree programs through the replacement of proprietary textbooks with open educational resources. Over the next three years, the Open Educational Resources Degree Initiative will lay the groundwork for nationwide adoption of OER Degrees. Recognizing the growing expertise and interest in developing OER degrees beyond US borders, the Open Educational Resources Degree Initiative invites two-year public higher education institutions and systems in the U.S. and Canada to apply for three-year grants to support the creation of new OER Degree programs. __The Center for Innovation & Digital Learning (CIDL) is a new initiative led by AAP’s PreK-12 Learning Group and Higher Education Committee to promote a steady influx of new ideas and to support the development of next-generation educational technology. AAP and its members in the education space believe effective and engaging instructional materials are a key factor in improving educational outcomes. The highest quality learning resources should take into account the latest pedagogical research and advances in technology. The Center for Innovation & Digital Learning (CIDL) is a new initiative led by AAP’s PreK-12 Learning Group and Higher Education members to promote a steady influx of new ideas and to support the development of next-generation educational technology. I’ve been thinking about the purposes of our working group, and I’ve come up with a few ideas of why we want to do this. To promote the use of open source applications focused on teaching & learning. While there are numerous commercial vendors promoting the use of commercial software, numerous open source applications get overlooked because there are no vendors selling & marketing OSS. To provide practical solutions to educators wishing to employ open education pedagogies that build on network learning principles. To promote inter-institutional collaboration. OSS relies on the development of communities of developers and users in order to be successful. The success comes from sharing knowledge about how the software is constructed and can be pedagogically utilized. The software becomes the focal point around which a community can develop. To provide a pathway for institutions and educators to actively participate in OSS projects that are focused on EDU OSS. Pathways to participate in OSS projects can sometime be obtuse and difficult to maneuver, meaning educators may not want to, or feel welcome to, participate in EDU OSS projects. This group can provide support for those who wish to dive deeper and participate in specific community projects, and in ways that are not just software development. This provides benefit to the OSS project as it can bring new members into the community, and active involvement in OSS communities strengthens the software, the community developing & maintaining the software, and the long term sustainability of the software. To encourage technological autonomy and provide ways for students, faculty and institutions to own and control their own data. To lower the barrier to participation on the open web for faculty and students. To provide value to other higher ed support systems within BC (think specifically of utilizing services like BCNet’s EduCloud). __Thanks, Clint, What is your sense of the constraints on the participation and talent/skills contribution of those who are not employed within public sector Educational Institutions? _ It’s a opportunity to expand on ways available for the like-minded to earn income for their ‘work’ – contribution. This checklist is designed to enable research institutions to assess quickly the openness of their research and teaching outputs. It covers the whole process of undertaking and disseminating scholarly and scientific research, and teaching, including for instance the adoption or development of, and adherence to, policies and strategies. http://ce-online.ryerson.ca/ce/calendar/default.aspx?id=5&section=program&mode=program&sub=atd&cert=CSCPUB00 to find out more. Ryerson University’s G. Raymond Chang School of Continuing Education’s Publishing Program provides an exceptional education in every facet of the publishing industry. Over our 25-year history we have established ourselves as one of the foremost publishing education and training programs in Canada. What sets us apart? Our Instructors. As the OER movement matures, we will need to be more inclusive of the diverse and context-specific voices of the field that are doing the heavy lifting of implementation and help them with the problems of practice after they have made the decision to pursue OER. 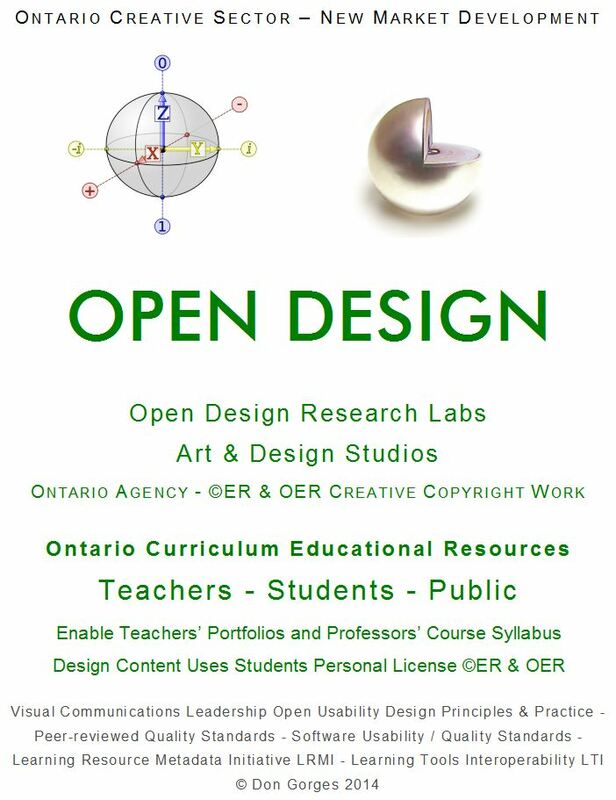 My sense is that there is now a critical mass of educators working in U.S. K-12 education committed to OER. How these educators are supported and empowered will have everything to do with the ultimate success of the movement. It seems a long time ago the United States was the undisputed world superpower, having defeated communism and with no other serious rivals on the world stage. But then came 9/11, the Iraq War, terrorism, and the great recession, and America’s role is now less clear. 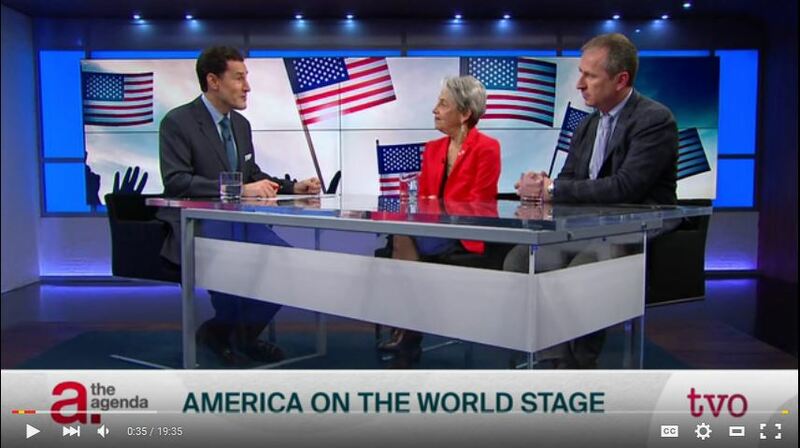 Janice Stein, founding director of the Munk School of Global Affairs at the University of Toronto, and Irvin Studin, president of the Institute for 21st Century Questions and editor-in-chief and publisher of Global Brief join The Agenda to discuss America’s role in the world. __As this very engaging discussion ends, I’m taking Irvin’s final point with a sense of humour by envisioning a mock Canadian tourism – immigration campaign aimed at ‘disaffected Americans’. A new pirate website called Sci-Hub allows free access to academic journals behind paywalls. Heather Joseph, an advocate for legal open access, explains the situation to Linda Wertheimer. Quad/Graphics has announced the inclusion of its Quad Virtual Reality (QVR) Viewer in select copies of the 2016 Sports Illustrated swimsuit issue that provides an all-access viewing experience of the magazine’s first-ever virtual reality videos. The QVR Viewer appears in about 500,000 special newsstand versions of the swimsuit issue. A couple of days ago, I attended a conference on Experiential Learning (The Chang School Talks)… not a huge conference, but big enough to feel intimidating to an introvert. __Thanks for your post, Bill, — I agree, it certainly was a good idea to offer the opportunity to prearrange meeting with people one on one _ and I expect the concept will continue to be tweaked and improved-upon in future iterations – I’d suggest that we conference participants might feel free to go back to browse the offers and requests, then go ahead and make contact to arrange to get together for coffee. One hundred years from now, Earth is an epic wasteland of French fry containers, water bottles and other remnants of mankind’s consumerism. Humans have evacuated on a starship, leaving behind an army of robots to clean up the planet. So goes the plot of WALL-E, a lighthearted, animated film set in a post-apocalyptic future. While much of the movie’s screen time is dedicated to the exploits of our rusty bot hero, the film also makes some gentle commentary on the impact that living with advanced technology for centuries might have on people. Mroueh has it right, spec devalues our industry. It’s also a disservice to loyal clients. Zulu Alpha Kilo’s Zak Mroueh on what happened after his agency’s now-infamous ‘no spec work’ video. __Zak Mroueh – “4. It can hinder groundbreaking, game-changing ideas. If an agency is investing heavily in a pitch, very few of them are brave enough to go out on a limb to put forward an earth-shattering new concept. It’s way too risky.” _ “Several years ago, I was disheartened to see that a creative idea we pitched on spec was picked up by the client and used globally – without any recognition or compensation for Zulu.” _ http://zulualphakilo.com/saynotospec/ __ tangible creative work/IP is Copyright protected, however, the underlying new concepts-ideas are not protected. How do you create a business-wide culture of change and innovation? https://lnkd.in/b36hW8R A look at David Levin’s leadership via ChiefExecutive.net. Two years into his CEO tenure, David Levin is leading a learning curve as McGraw-Hill Education transitions toward software-based products. Great article! It’s so interesting how David Levin is leading your company from textbook publishing towards educational technology with software-based products. Many years ago, I served as part of a freelance writing team for McGraw Hill’s educational videos, one per chapter of a history textbook, which was produced by General Learning Video. Great idea for youth to benefit from online communities and education. I’m interested in sharing your stories in an interview. Keep up the terrific work. In this two-part consideration of the future of online learning, we look at the patterns and trends which will shape online learning in the future and how the various components of the post-secondary education system, such as student population, course design and delivery, assessment, resource bases, teaching and learning models, and partnerships will be different from what we have now. __One wonders when those questions will occur to critical thinking journalists, Amit. Another perspective is speculative i.e. David Wiley’s financial interests. This is a series of posts I’ve finally decided to write on the subject of what I call “connected copies”, an old pattern in software that is solving a lot of current problems. Amazon Education is working on a new platform that will allow schools to upload, manage, share, and discover open education resources from a home page that in some ways resembles the one shoppers are accustomed to accessing on the massive online retailer’s website. School administrators learned about the site, to be called Amazon Inspire, during a “Transitioning to OER” session Friday as part of the National Conference on Education of the AASA, the School Superintendents Association, held here. The new platform is in beta testing now, and is scheduled to be released publicly within the next two to three months, according to Andrew Joseph, vice president of strategic relations for Amazon Education. In the previous three posts, I talked about and reviewed the three (3) core products offered by Flat World Knowledge. I concluded we did an admirable job on the first two (a professionally authored and developed, openly licensed textbook and our student commerce/upsell from free site). Unfortunately, we did a less than stellar job on our third and most vital product – an editing platform that made local ownership of content a default faculty and/or institution experience. __Happy Valentine’s Day, Folks! _ Abigail Rockwell – I recently came upon this painting of my grandfather’s that really touched me. It’s an April 1928 cover for Ladies’ Home Journal called On Top of the World (Young Couple Seated on Globe). The world is open to them. Their romance is safe, protected and promising. His hand folds over hers, gently sheltering it. Just as the continents below them are connected, so are the two young lovers. Celebrate your love every day. Even in the midst of a fight — remember, take a moment to acknowledge your Beloved. Slow or Sophisticated? Squandered or Sustainable? David Anderson, executive director for higher education at the Association of American Publishers, said the industry is already shifting from print to digital in a change that will bring down student costs. __To understand the methods, calculations and assumptions made within Student PIRGs Study, it would be necessary to have the Survey questions and responses data _ As policy lobbyists this organization uses push poll survey techniques and, as such, are not a credible, unbiased single source of information. Flat World Education today announced that Jade Roth has been appointed Chief Executive Officer, effective immediately. Roth succeeds Christopher Etesse, who will continue to serve as an advisor to Flat World as needed.